“We live the homestead lifestyle because we prefer to live closer to nature, at a different pace from most of society. We would rather live by the tides, sun, and seasons rather than the time clock and schedule. We are not purists or Luddites, but we try to lessen our impact on the environment, and appreciate older methods of living and working. My wife, Michelle, and I live off-the-grid in northern Southeast Alaska. Our daughter, Aly, grew up here from middle school through high school graduation. She currently lives in Washington state. More than a mile from the nearest road, and seven miles from Haines, the nearest town, we try to make our living off the land and sea. On our small compound (cabin, shed, outhouses, smoke house, chicken coop, guest/boat house) we grow, forage, hunt and fish most of our food. We have 10.5+ forested acres with 700 feet of beach front on Lynn Canal, North America’s longest, deepest fjord. We generate our own electricity with solar panels backed up by a wind generator. We collect water in a ground percolated catchment system to provide running water to the cabin. We heat with wood, and use outhouses for our necessary needs. Connected to the outside world by cellular phone and Internet, I write, design websites and “micro publish” on a freelance basis, manage a few micro-incomes such as homemade soaps, and earn a bit from investing. Michelle currently works part time with a local tourism outfit. We live nearly debt-free, carefully husbanding our resources to make what little money we have or earn go as far as possible. I’ve written two books, Shy Ghosts Dancing: Dark Tales from Southeast Alaska, and a book about our off-grid life called Sacred Coffee: A “Homesteader’s” Paradigm. Born in Fairbanks, I grew up in Alaska except for eight years in Washington state. As a youngster, I dreamed of living in a log cabin in the forest on the ocean shore in Southeast Alaska. I knew that such places barely exist anymore. If they did, they rarely came up for sale, and never at a price that I could afford. Imagine my surprise, then, at the age of 45, to become the owner of just such a place! The path to our homestead took many turns, including a 16-year career in radio at stations in Alaska, Oregon, California, and Texas. I held many other jobs to support that career, including selling cars in upstate New York for a summer. I met and married my wife, Michelle, in college. As a child, she hoped to grow up to be Laura Ingalls Wilder, so she shared my dream of a wilderness home. Our daughter, Aly, was born in Juneau, Alaska in ’93. I left radio that same year and tried new jobs, learning publication and Web design skills along the way. We also used to build and sail boats. Dad’s pay usually came from the offering plate. When parishioners failed to contribute enough, we did without. My mother was a true mistress in the art of making do on very little. Dad used his electrical, plumbing, mechanical, and other skills that might have earned a handsome income in other fields to save the churches the expense of hiring professionals to maintain the properties. These lessons, carried into adult life, helped me stay afloat while pursuing a radio career. Michelle’s and my natural frugality eventually paid off when, to our surprise, we learned we could actually afford to buy land. Eventually, this led to finding an incredible bargain on the homestead of our dreams. Now, in 2015, nine years into living a life that some would dread, but many others might envy, we try to show others what can be done to make life better. Our lifelong education continues; we home schooled Aly, who recently earned a college degree in her chosen field, and learn the many skills needed to operate and maintain our off-the-grid power system, water catchment systems, wood heat, and composting outhouses. We’re learning to predict the weather, and keep a close eye on our environment for clues as to what will happen next. Our learning curve has been steep, and the range of needed skills constantly expands. We raise no livestock as yet, but hope to try raising chickens or ducks as soon as we can figure out how to feed them without buying commercial feed. In the future, we hope to build the sauna we planned when we first arrived. We think a lot about building a platform and erecting a yurt higher up on the property. We may offer it as a bed and breakfast style retreat for like minded people. My next book will likely be a cookbook, co-written with Michelle. We started our blog to keep family and friends informed of our activities and thoughts. It has achieved small notoriety as an entertaining and informative example of off the grid living for others as well. We don’t see ourselves as a shining example of what should be done. Rather, we offer ongoing examples of what could be done, what might happen if one tries it, and how to get out of problems that arise when we do. Ours is serious business that often passes as comic misadventure. Hopefully, readers will be entertained, if not enlightened! 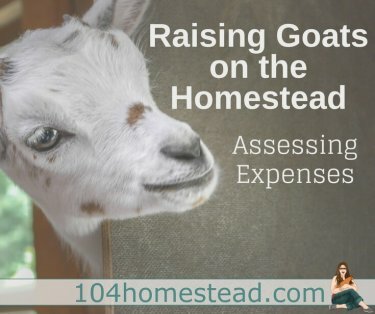 We enjoy the homesteading lifestyle’s many challenges and pleasures. Even though we don’t have a lot of money, we are rich, living an exciting, pleasant, fulfilling, useful life that many would pay dearly to gain themselves. Follow Mark’s off-grid journey at his blog, The Zeiger Family Homestead. Thank you so much for posting this story! My dad forwarded it to me in an email. You purchased this land from my father when I was 13 years old. I was raised in that cabin and have so many happy memories of it. I’m happy you were able to continue the property’s legacy. Who can i contact about getting land? Great story. I am not a not a homesteader by any means but every day I attempt to change the way I do things to a more self sufficient lifestyle. Glad to hear that you love your off grid lifestyle. Will be following to hear more! Thanks, “Small Steps”! Your moniker says it all! It’s amazing how tiny incremental improvements can accumulate to huge differences. I wasn’t being flip–we lived frugally, making little changes until, to our shock, we could buy our own home. Then, again, to our shock, we could invest in property, which led us here.